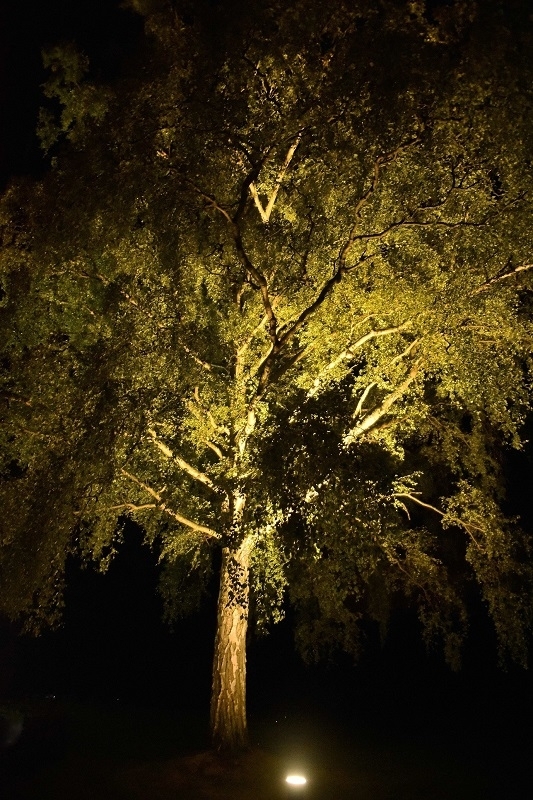 For trees with a wide open canopy use a 60° spot light placed close to the trunk of the tree and shine the light up through the branches, giving the tree an interesting mix of light and shadows in the evenings. 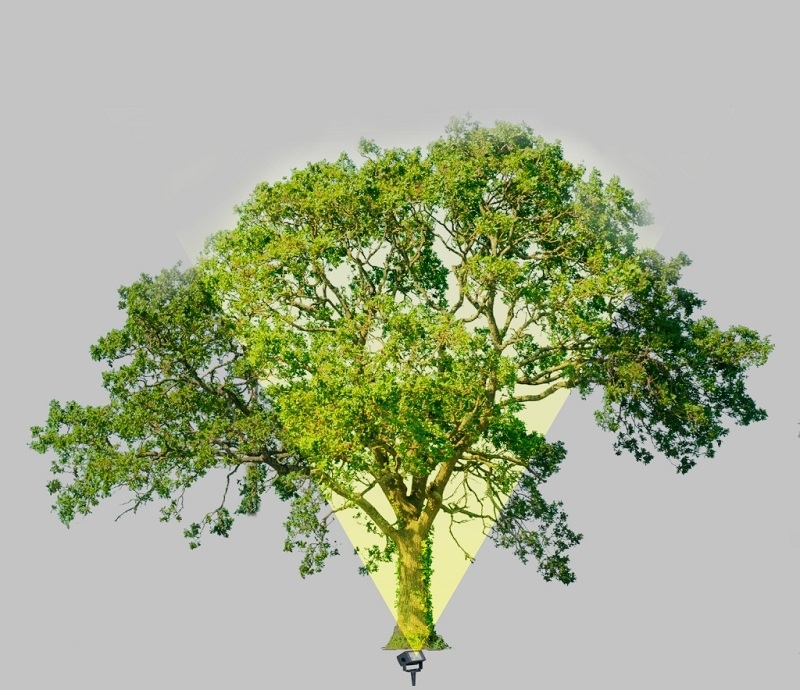 For wider spreading trees 2 spotlights either side of the trunk may be required. Tip: the tree’s root system is denser at the base, so when placing lights close to the base of the tree, specify a spike mounted fitting rather than a recessed fitting. This avoids unnecessary root damage and aids an easier installation. Illustration shown using a 60° beam, for a fuller covering of light 2 fittings may be required. Another way of lighting an open canopy tree is to mount the light up in the tree and shine the light down through the branches to create a soft moonlighting effect onto the lawn or path below.